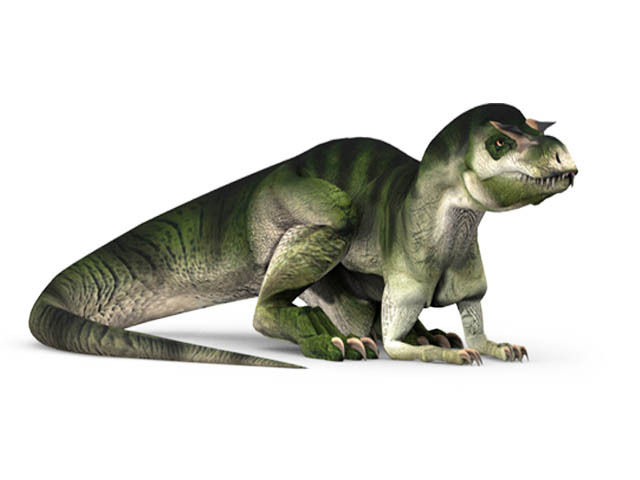 Facts & description: This CGI drawing shows the possible appearance of Albertosaurus, a dinosaur from the late Cretaceous Period. Albertosaurus was a predator that moved on two legs, living in an area that now makes up western North America. While smaller than other Tyrannosaurids such as the well known Tyrannosaurus rex, Albertosaurus still grew to a length of up to 9 metres (30 feet) and a weight of around 1.4 tons.